CM Magazine Profile: Kenneth Oppel. Move over Franklin and make way for the winged gang from Silverwing! While it may be a little early to shove the adorable little turtle aside, if Kenneth Oppel has his way, children someday will be clamouring to own cuddly toy bats bearing names like Shade and Marina. Readers already familiar with Ken's work will recognize him as the author of picture books, first chapter books, and YA novels, but, with Silverwing, he moves into yet another genre. "I said I'd never write a talking animal story. I've always had a slightly condescending attitude towards them and thought they were somehow cutesy. What drew me to Silverwing was the fact that most people have strong negative reactions to bats; they're scary, ugly, strongly linked with horror, the gothic imagery in Dracula, rabies and things like that. I thought it would be a real challenge to see if I could somehow make these creatures appealing or endearing and cause people to care about them." "Another thing that appealed to me is that the bat's world is based on sound. Through research, I discovered that bats' eyesight's actually pretty good, but their world is much more 'auditory,' in that how they navigate and comprehend the world is based largely on sound. Consequently, I thought it would be a challenge to write a text in which sound was very important. The third thing I found as I researched bats was just how rich the folklore was around them. I became interested in that as a theme for the book, versions of truth and creation, and so, while a big part of Silverwing is Shade's physical quest to rejoin his colony from which he's separated, it's also Shade's quest to find his father, to understand the meaning of the sun, and to understand why some bats have these metal bands on their forearms. There's a whole mythology built around the presence of these bands. The solution to the question of the bands is not purely scientific, like scientists banding bats. The book's a fantasy, and there's a much bigger meaning for those bands in the world I create. At all levels, then, the story dragged me in despite my prejudice against the talking animal stories." "I've sent my film agent a copy of Silverwing because we're interested in seeing if it can become an animated film or a TV series. His initial response? 'Bats! Too scary.' He got me to send him lots of pictures. I'm sure I'll convert him because, when you see pictures of bats, they're like mice, especially the northern bats you see in Canada. They're much cuddlier because they've more fur, and they're quite whiskery, almost like huskies. If you look at their faces in isolation, they've got nice well shaped noses, furry whiskers and little ears." 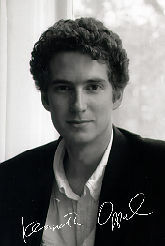 Winner of the 1995 Air Canada Award for "the most promising Canadian writer under 30," Ken was born in Port Alberni, B.C. on August 31, 1967. "My father, who worked in a furniture store there, decided he wanted to go back to school. He did an undergraduate degree at the University of Victoria, and then we moved to Halifax so he could go to Dalhousie law school. I was about seven then and my brother 11. As kids, we hated being moved and went kicking and screaming, but subsequently we loved Halifax. Actually, I think my fondest childhood memories are from there. After my father finished law school, we went back to Victoria where I completed junior and senior high school. As kids, we were surrounded by books and, when you grow up an environment like that, you just are automatically more interested in words and in telling stories." "I went to two very good private schools, one in Halifax, the other in Victoria, and my favourite thing was always the creative writing assignments. Because the curriculum then really put little stress on creative writing, it was something I largely did on my own time at home. When I was in about grade six or seven, I started doing longer things which, inevitably, were modelled after films I loved, like Star Wars, and the books I was reading at the time. These big science fiction epics rarely got finished because I'd get five chapters in and then have no idea of what happened next. At about 13, I was playing 'Dungeons and Dragons,' and I started writing fantasy stories which I'd send to fantasy magazines and get rejections back." "But I stuck at it and wrote my first children's novel during summer vacation when I was 14 and re-wrote it the following summer. It was a 25,000 word longhand manuscript, certainly the longest thing I'd ever done. I can remember the image which inspired Colin's Fantastic Video Adventure. I was a video game addict, and in grade 9 science class, we were studying asteroids. I was trying to imagine what it would be like if you were actually in a spaceship and saw this huge mountain of rock spinning towards you. The story's about a boy who discovers an alternate world in video games." How this teen's manuscript got published almost seems like fiction. Ken explains, "A family friend, who was also a lawyer with whom my father shared office space, knew Roald Dahl. Evidently their families had been friends from way back in England. I collected Roald Dahl books, and, on one of his trips to England, my father's friend took one of my Dahl books and got it autographed for me. On another, he took the manuscript that I'd written, and Roald Dahl read it and gave it to his literary agent. I can't imagine anything more exciting than the letter I got from the agent saying,'Roald Dahl passed us your manuscript, and we would like to take it on.' And they sold it!" Though Ken and Dahl never met or even communicated directly, Ken says, "He was a behind-the-scenes champion of my work at a very early stage. I've subsequently learned he did other little things for me. For example, he passed on some of my books to a film producer, saying, 'You should take a look at this writer's work,' and the producer actually optioned one." "Colin's Fantastic Video Adventure was accepted when I was in grade 11 and came out as I was graduating in 1985, but, even after that tangible success, I thought, 'Obviously I'm going to go to university. Probably I'll study English, maybe go into graduate school, become an academic, teach English and, in my spare time, write.' I loved university, but I found my English interests fracturing a bit. Like all kids, I'd liked movies, but I discovered I had a passion for films and wanted to learn about them critically. I also discovered journalism and worked for the student newspaper, The Varsity, as a film critic, and, at another point, as a book critic. I ended up getting a degree in English and cinema from the University of Toronto in 1989." 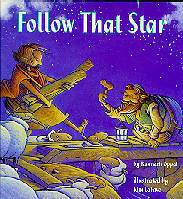 During his university years, Ken continued writing children's books. "At the U. of T., there's a path, the Philosopher's Walk, that takes you right behind the Royal Ontario Museum. If you peered though some of the windows, you could see into workshops, and I got curious about the stuff that went on behind the scenes in a museum. I had very romantic ideas of guys reconstructing dinosaurs or whatever. Sensing a certain mystery in the back rooms, I started imagining who would work there. I came upon the idea of a figure, like a curator or workman, who was as old as the artifacts. Although a very outlandish idea, it started ideas cascading. Then I thought of some sort of immortal museum keeper, and the whole idea of the Library of Alexandria came in and someone who had gone from there to now. I also started thinking about immortality and eternal life and a boy who discovers some great secret at the museum. All that was the impetus for The Live-Forever Machine. Pieces come together. You accumulate characters and ideas and try to fit the characters in with the ideas. Again, you come at it from all directions as you think up a cohesive plot and characters." 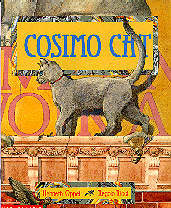 "Cosimo Cat, a picture book, fell between the first and second drafts of The Live-Forever Machine. As I was walking around the university one day, I saw a poster for a lost cat and imagined a little boy, a practical kid, who sees that sign and goes, 'OK, there's another one.' Because he's found cats before, he decides to look for this one, but it turns into a bigger adventure with a magical element. The name, Cosimo, came about because I was taking an Italian Renaissance art history course and encountered Cosimo de Medici and thought, 'What a neat name!'" "When I was through university, I was much less clear about the direction I would take. I knew I wanted to write, but I didn't know whether it was going to be kids books, screenplays, or entertainment/arts journalism. Shortly before graduating, I'd sent out a panic flurry of applications to publishers and magazines, got some interviews, and ended up taking a job as an Associate Editor at Scholastic Canada but left after four months because it wasn't really what I wanted to do. By then, I'd sold The Live-Forever Machine and Cosimo Cat, and I decided I'd rather have more time to write. Because I was sharing a place with two other guys and didn't need very much to live on, I supported myself by working part time as a temp. The money was ridiculously good, and all I had to do was type and answer the phone, and, between assignments, I still had a lot of time to write. I did that for a year and then got married." "Literally the day after the wedding, Philippa and I moved to England where we spent three years while Philippa got her Ph.D. at Oxford. I wrote an awful lot in that period, particularly in that first year because we had very little money and I was scared. Just in that one year, I wrote the first two or three 'Bad Case' books plus Dead Water Zone and Follow That Star. By the end of that year, however, things were beginning to look up, and I realized I could probably make a living writing with a few other part time jobs in between." Amongst Ken's jobs was typing essays and doctoral theses. "In England, a lot of graduate students didn't have computers or even typewriters, and, perhaps sad to say, I was willing to exploit that situation. Although I didn't charge any more than the going rate, about $3.50 per page, I'm a really fast typist. While I eventually stopped doing it, I received benefits from it other than money. The title for Dead Water Zone came to me while typing a paper on metallurgy. Normally I turned off 90% of my brain and became a robot, but I was looking at words like 'trace metals' and 'centrifuges,' and the writer used the phrase, 'dead metal zone.' As I was writing a manuscript involving a polluted body of water, I thought, 'It fits!'" "Another time, I was typing a nativity play a woman had written for a church parish. It was a play with the archangels, and Gabriel was hopeless, always forgetting things. This play started me thinking about the Nativity. I was interested in writing about the angels, but I started imagining things going wrong. Then I started thinking about the one shepherd who wasn't there to see all this. The Bible just says, 'An angel of the Lord stood before them,' like they were all there. I thought the premise was intriguing - the one shepherd who misses the flock of angels and then hurries to see them, thinking it's only angels he's going to see, not knowing there's more. So typing the play did kick-start Follow That Star." "I'd begun Dead Water Zone before I got married and finished it in England. I think the idea started with a visit to the Toronto islands. There's something quite romantic about the islands - people living in the harbour of a huge city. I got interested in the idea of a community on water, a run-down, marginal place. Then I started wondering, 'What kind of people would live there?" About the same time, I was reading Robert Hughes' book, The Fatal Shore, about the founding of Australia, and was fascinated by the whole notion of a country beginning as a penal colony. On our honeymoon, we'd gone to Venice, literally a floating city with canals running through it, and so that pretty much clinched the idea of the place that became my setting, Watertown. Returning to the question of who would live there, obviously it would be society's undesirables, people, such as petty criminals, who don't fit in everywhere else. It became quite a Dickensian sort of underworld located in the harbour of a prosperous city. And from that came other questions: 'Why is it such a undesirable area? Why hasn't it been turned into a suburb with chic townhouses?' Then I thought, 'Well, it's incredibly polluted, but why and how is it polluted?' I came to the answer that a biomedical disaster had happened and that the people who drank the water became both altered metabolically and addicted." 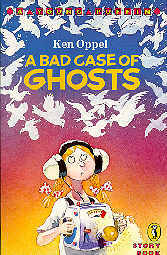 Ken also used his overseas period to begin a series, the "Bad Case" books, which are a bridge between picture books and first novels. "In England, lots of publishers are doing these early reader books, but my British agent didn't even try to sell them in Canada because they're a type of book which really doesn't have a good market here." "With Philippa's doctorate completed, we came back to Canada in late '93 and spent two years in Newfoundland where Philippa had a job at Memorial's fine arts campus in Corner Brook. When the 'Books for Young People" editor's position at Quill & Quire came up in 1995, I thought, 'I'd like to do that for a whole bunch of reasons,' and I got offered the job. Philippa also got offered a teaching contract at U. of T." Finding himself desirous of more writing time, Ken left Quill & Quire in the summer of 1996. The demands of a new baby daughter, Sophia, plus Philippa's university teaching, means timetabling has achieved a new significance in the Oppel household. "You can look at the elaborate schedule on the fridge. Sitting down in front of the computer is a horrible moment because you know what's ahead of you. There's nothing more demoralizing than booting up the computer and looking at this blank screen. You feel like you're somehow desecrating the screen by putting something on it. If I have stuff from the day before, often I'll read through it and make a few changes as a warm up. Mostly though, the ritual is just gritting my teeth and forcing myself to write one sort of crappy sentence, and then I'll write another less crappy one and go back and fix the first one. You always get back into it, but it's hard." "Writers who have been at it for a long time have to be disciplined. You're self-employed, and there's no one looking over your shoulder, imposing deadlines, except perhaps when you've a contract and there's a deadline for a final draft. I've always wanted to treat writing like nine to five work, but it's hard to confine to just certain times because it's the kind of work that goes on in your head at all hours anyway. I have a word count of a thousand words I try to meet every day. I use that as a gauge to judge whether or not I'm doing my 'job' because it's hard to measure performance when you're trying to write. You're not a machine constantly tapping at the keyboard. There's time for reflection and dreaming about your story, and that's hard to quantify. Even if you've had some 'great' thoughts during the day, you still think, 'But I haven't got anything on paper.'" "My stories are always pretty heavily plotted. Before I start a story, I'll have an outline of the shape of the action. I find that's very helpful in keeping me going because there's always a sort of point on the horizon I'm working towards. It would be much harder to work in an amorphous 'inventing-as-I-go' fashion, although inevitably you do, and some of the best things come about from the 'reinventing' that happens when you're writing and reconstructing that outline. Though the skeleton idea is helpful when you start, sticking to it too rigidly would probably work against the ultimate good of the novel. Every novel is really a rewriting process. I usually have one very full rewrite between first and second drafts where everything gets overhauled and retuned. Sometimes the changes can be quite substantial." A significant portion of Ken's income now comes from writing screenplays. "While I became interested in film at university, I never really thought about writing them until The Live-Forever Machine was optioned. When nothing had happened after a year, I told my film agent, 'If they haven't got a script, I'll write it. I can do it.' And I did. Not a very good one, but, as it was my very first, I wasn't very familiar with the form. I sent it to the producer who said, 'This is really good,' and renewed the option and paid me a nominal sum for the script. They were going to pay me to rewrite it, but that never came about. With Dead Water Zone, I also wrote a script which was optioned for a time but again nothing came of it." "The first script that I got a big deal on in the States was an original, "Virtual Murder." Initially, I was actually going to write a kids book. This was about '93, and virtual reality was just coming into public consciousness. As I was thinking up the ideas for the book, they struck me as so visual. I also found myself thinking, 'I can write this as a kids book, but I see a limited audience for it.' I'd been reading film magazines for long enough to know that there's huge amounts of money in Hollywood, and so I thought, 'I'm going to write a screenplay.' My brother-in-law's a director of commercials, and he'd been interested in getting into feature films. We teamed up. I wrote it, but he worked with me on it. We submitted it to his film agent, who's now mine, in Los Angeles. The agent thought it was good and sold it for more money than the royalties from all my books put together and multiplied by two." "While the film option on the script lapsed after a year and a half, I still consider the experience a success. It 'paid' for itself, I got a Hollywood agent, and I discovered I had a facility to write decent screen plots. Since then, I've been balancing writing kids books with writing screenplays. Most of the money I make from my writing career is from screen plays because the money is so much bigger. Because money for kids books is often not good, if you want to keep writing for children, you do other things. Fortunately, I love both, and I don't consider script writing as servitude to a lesser god although I certainly think writing a book is a bigger achievement. With a finished book, you have something you can show people whereas you don't take a sheaf of 120 script pages to your friends and say, 'Look, this is what I did.' It's just not the same. I think it's much healthier as an artist when you're producing work that's seen and read." Recently, "Entitled," another of Ken's screenplays, has been optioned. Says Ken, "If one ever gets made into a film, then my career as a screenwriter would be made. Unless it's a total failure, having a film made is the apotheosis. While there are hundreds of screen writers who are very wealthy people without ever having had one of their scripts transformed into a movie, I wouldn't want that because I think frustration would set in after awhile." Ken is seemingly never without new projects. "I keep lists of ideas. Right now, I've got two contracts for kids books to do, and then I've about 10 script ideas, three of which I'm going to turn my attention to. Usually I write outlines for screenplays first and then send them to my agent who tells me if they stink or won't sell. One idea eventually exerts its dominance, and that's the one I'll go for, but often I've found I'll have this list of four ideas and think, 'These are the contenders.' I'll be working on those, and from out of left field will come this other one and shove its way in." Ken's writing will go in a further direction via a new Kids Can Press series. "It's intended to introduce kids at about the grade 3 level to those incredible people we have in Canadian history who we aren't hearing about. As Canadians, we know more about American historical figures than the Canadian ones. The project appealed to me because I'm quite patriotic and because I think taking an historical figure and making that person come alive is an interesting challenge. Each book, which is to be written like a story, will focus on a central exciting event in that person's life and one which was important to Canada. I'm starting with Laura Secord and Sam Steele." And for Silverwing fans, Ken speculates, "As I was writing it, especially rewriting it, the world really opened up for me, and there's certainly room for another good adventure in there. I've never written a sequel before, and so that's maybe something I'll do down the road." *Based on an October 7, 1996, interview in Toronto, this "Profile" was orginally published in Resource Links, 2(5),199-200.